Golf – What’s available for YOU ? 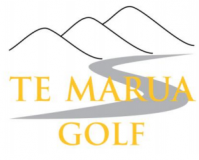 Course Management – Save the Totaras ! Anyone wanting a trailer load of semi dry firewood??? please contact Gina or the office. Someone has removed a pair of size 14 golf shoes from the Men’s locker room, Please return!!!! Pest Free Upper Hutt are operating 4 Rat Traps and 3 Stoke Traps around the golf course, if your come upon them please do not touch or move them. To Date they have caught/killed 8 rats and 2 mice – excellent news!!!! All niblick shoes in the shops are $99.00. Have all Ladies registered for Matchplay Round 1 on the 14th April???? Ladies Mid- Week Pennants Team hosted Interclub at Te Marua on Monday. They would like to thank all ladies that helped on the day, staff, caterers for a beautiful lunch, plus green-keepers on preparing the course. To top it off they won their match against Miramar 6 ½ – 2 ½. Well done to Faye, Jo, Mary and Gill who all had wins and Pat who tied her match!!! Awesome Ladies!!!! It was a great feeling to be able to go and see Sonia on Sunday with such a good result on Saturday! I am pleased to report that Mashies Boys took a 12.5 – 2.5 victory playing Ohariu Valley at Pauatahanui. Well done team!!! Next game is at Ohariu Valley on Saturday 27th April. Te Marua is proud of your guys!!! Please remember if you bring a visitor to our club as soon as your visitor starts to practise on our greens they are to come inside and pay green fees. Members can practise whenever they like but the course is not free for friends, or visitors. Our Club welcomes all players, we have adapted our green fee structure to make it easier and cheaper for golfers to participate/and pay at our course – members have to be accountable for anyone they bring on to our course – don’t go and abuse it!!!! I’m sorry this even has to be mentioned!!! Please take note of the following LAW!!! The clubrooms will be closed for catering on Good Friday. On Easter Sunday you will only be able to buy alcohol if you buy a meal. Whether the clubrooms are open on Easter Monday will depend upon how many are booked to play. Good Luck to all our Interclub teams playing on Saturday!!! You are WINNERS!!!!! Sunday The men have Golfer of the year plus the last round Strokeplay, Mayer and Kean Cup, Hazlett/Bolt Cup and Matchplay Qualifying – Who will make the cut?? Are you financial to play the last deciding round??? If not you will be disqualified before you play the last round!!! Plus Ladies have Matchplay Round 1. Monday – course available all day. Friday Good Friday – Easter Weekend. Everyone have a great weekend and if travelling be safe. Next Newsletter on Friday 26th April.